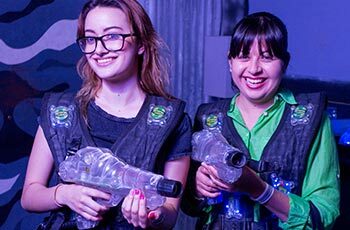 Take aim in Tucson’s Largest Laser Tag Arena! 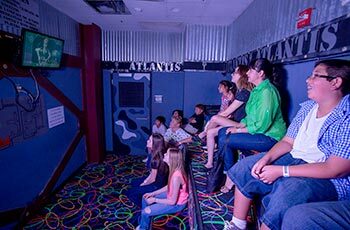 3 Levels & 5,200 square feet of indoor fun for an experience you won’t forget. 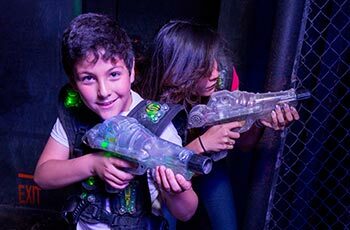 Get in the game with this state-of-the-art laser tag facility. A high-tech game of hide-and-seek, Laser Tag challenges players of all ages and skill levels. Great for little ones, teens and adults, and a favorite for birthday parties and corporate outings. Height requirement: 40 inches or taller.